9 oz. Box Tiger Crunch- Delicious kettle cooked pecans coated in a crunchy praline glaze! 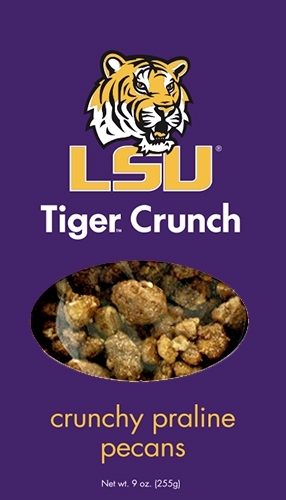 Delicious kettle cooked pecans coated in a crunchy praline glaze and packaged in an official Louisiana State University box!